You rely on your car to get from point A to point B reliably and safely. For this to happen, you need regular oil changes, tune-ups, and repairs as needed. Whether you just bought your first car, recently moved to Fort Collins, or had a bad experience at a repair shop that you don’t want to repeat, follow these nine tips for finding a good auto mechanic. A quick internet search will bring up the names and locations of various mechanics in Fort Collins. This gives you a good starting point for your research. Visit the websites of different auto mechanics and look for proof that the companies are legitimate and trustworthy. Look for a state license number and associations with reputable organizations, such as AAA Colorado and Automotive Service Excellence (ASE). If you don’t see this information directly on the website, make a note to ask about it when you call the mechanic to set an appointment. At Scott’s Fort Collins Auto, we are ASE-certified and offer AAA-approved auto repair for our customers. Find out where the people you trust take their cars. The most valuable suggestions come from friends or family members who drive cars of a similar make and model as yours. The internet is another helpful place to turn. Check Yelp, Google, and Angie’s List to find out if past customers have mostly positive or negative things to say after working with different mechanics in Fort Collins. Just remember to take these reviews with a grain of salt, since people are more likely to complain if they have a negative experience than post a review praising a mechanic if they have a positive experience. The Better Business Bureau often receives complaints from customers who are misled by dishonest auto mechanics. A BBB Accredited Business is one that undergoes a thorough evaluation and has proven the ability to uphold the BBB Code of Business Practices. Scott’s Fort Collins Auto is accredited by the BBB. Once your research has allowed you to narrow down your options, don’t commit to one auto mechanic until you visit a few shops in person. Look for a tidy lobby that looks, sounds, and smells professional. If anything seems off, trust your gut and take your car elsewhere. Warranties for parts and labor vary widely, so it’s worth asking about this while you’re visiting the shop in person. 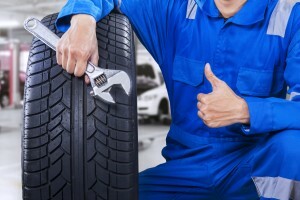 Warranties give you peace of mind when having work done at a particular auto shop. At Scott’s, all our work is backed by our No Hassle Warranty, which includes a 36-month/36,000-mile limited parts and labor guarantee. If the repaired component gives you trouble within this warranty period, return to Scott’s to have it sorted out. Once you settle on a good auto mechanic in Fort Collins, insist on getting every step of the transaction in writing for your records. This includes a record of any concerns you have about your car, any diagnostic inspections, and cost estimates for parts, labor, taxes, and fees before the job begins. Then, the final invoice should have warranty information printed on or attached to it. Even the best auto mechanic may not be worth your time if it’s inconvenient to get your car to the shop. Look for a business that is close to where you live, offers convenient hours, and makes it easier than ever to have necessary services performed on your car. Scott’s is conveniently located on Lincoln Avenue in north Fort Collins. We’re open 7:30 am to 5:30 pm Monday thru Friday. We also offer free loaner cars for qualified minimum repairs, a rare convenience among auto mechanics today! If you need work done on your car, please contact Scott’s, one of the best auto mechanics in Fort Collins! You can set your appointment online or call ahead at (970) 682-4202.